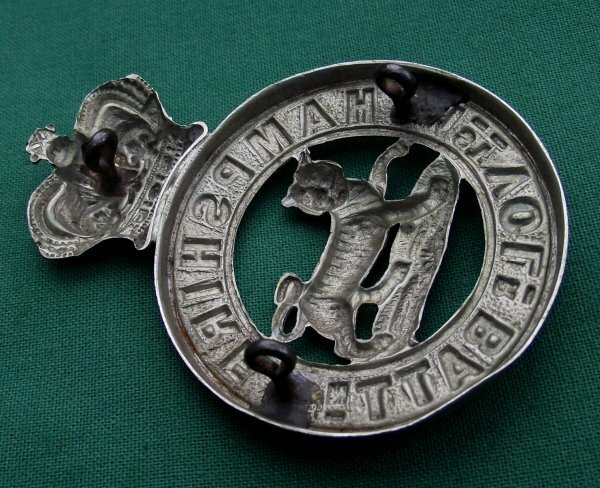 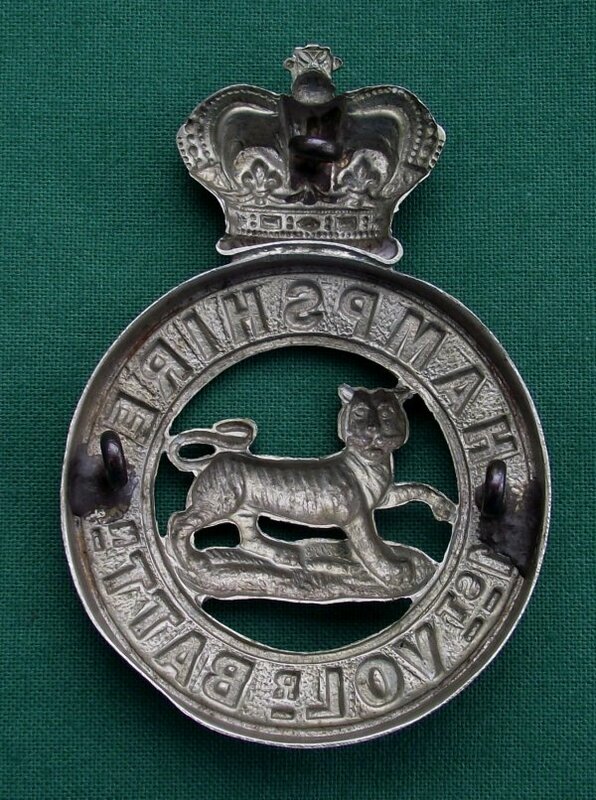 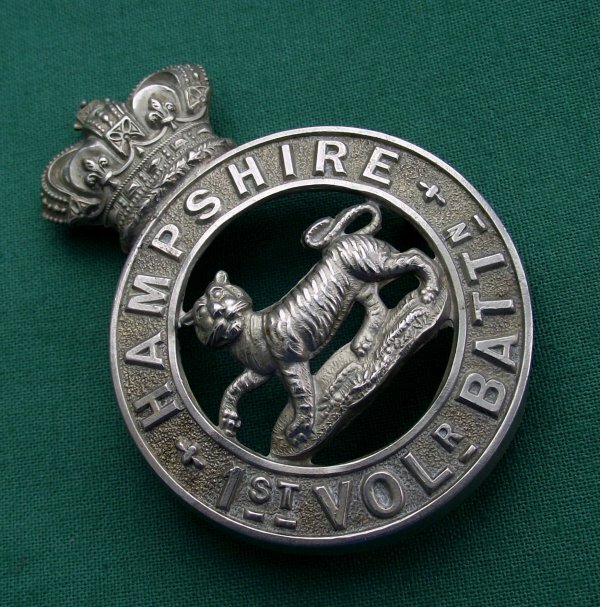 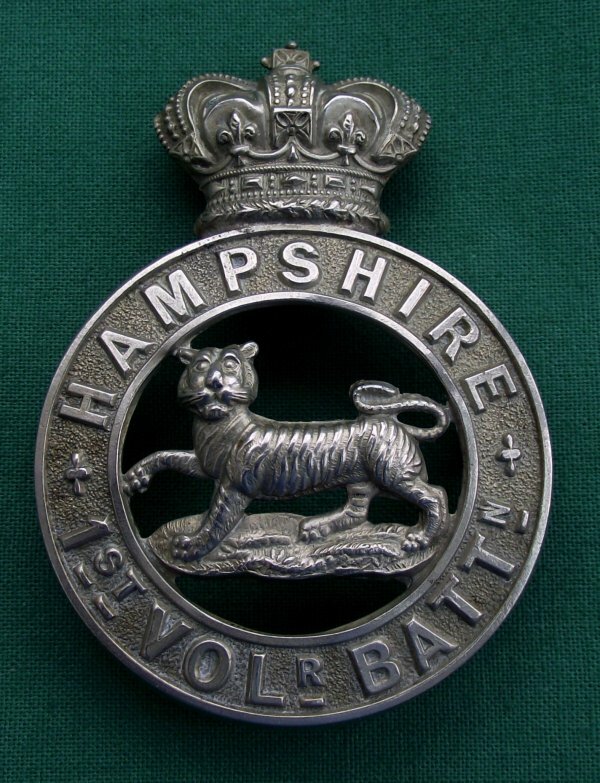 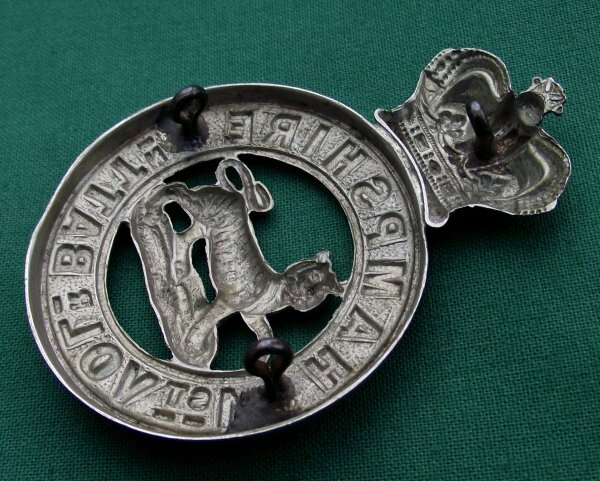 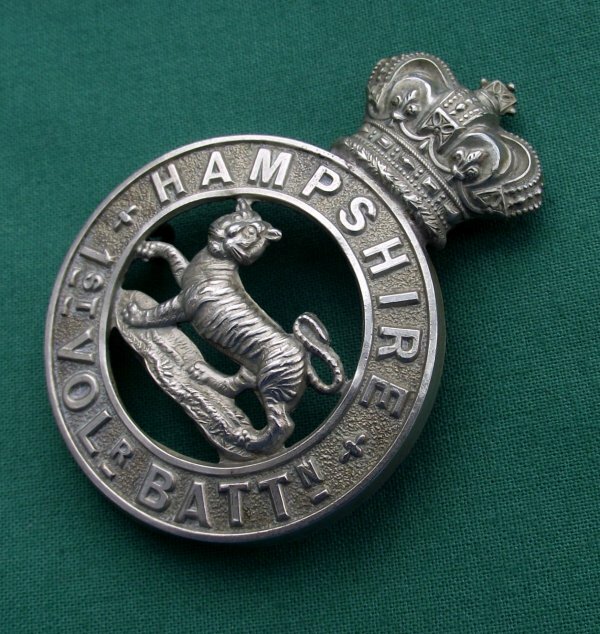 A 100% Genuine, White-metal, Victorian Pattern Glengarry Badge to the 1st Volunteer Battalion, the Hampshire Regiment. 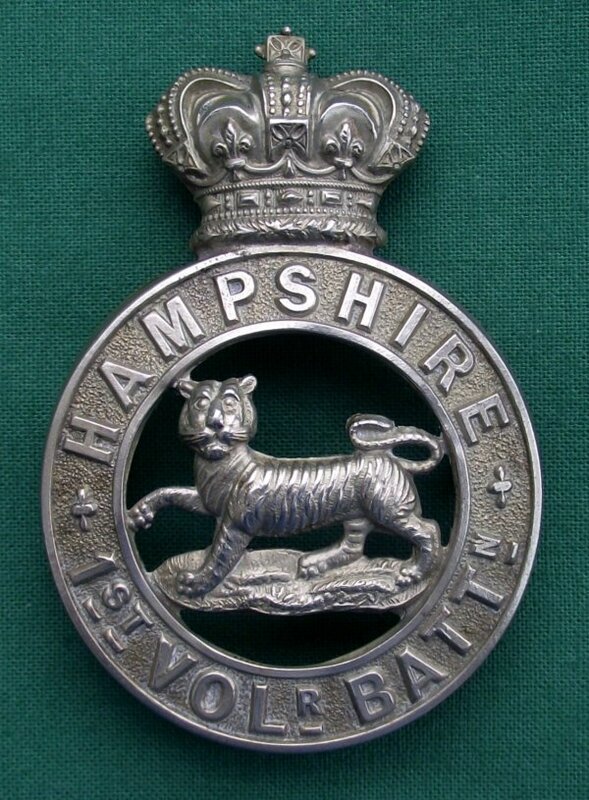 In Superb Used Condition. 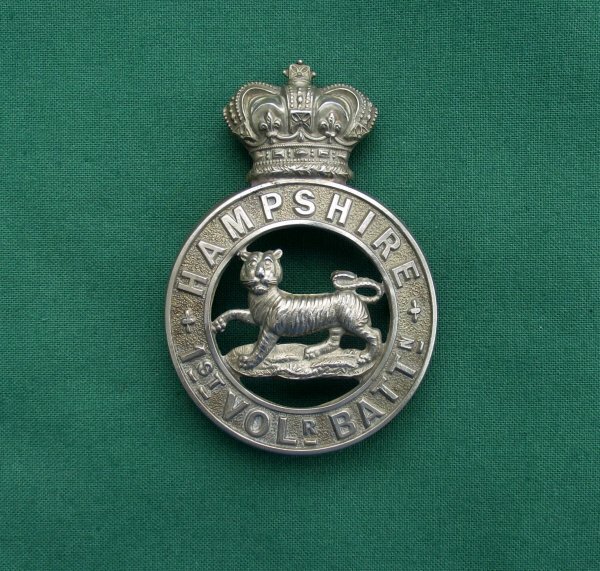 Three Original Lug fittings intact!